X-Files actor gets DavidDuchovny.com domain name 21 years after it was registered. Actor David Duchovny. Photo by Gage Skidmore (CC license). Actor David Duchovny has convinced a National Arbitration Forum panelist that the owner of DavidDuchovny.com is cybersquatting. The panel ordered the domain name transferred to the Golden Globe-winning actor. The domain name is owned by Canadian firm Alberta Hot Rods, which has lost a number of similar disputes with celebrities. Among the celebrities it has been forced to cough up domains to are Halle Berry, Pamela Anderson, Sandra Bullock, Cameron Diaz, Tom Cruise and Kevin Spacey. Alberta Custom Hot Rods did not respond to the complaint. The domain name was registered back in 1996, so it’s odd that it took Duchovny so long to go after it. 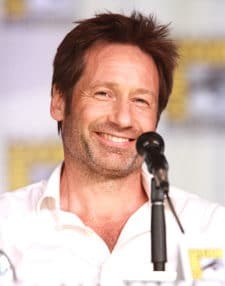 Duchovny is perhaps best known for his roles in The X-Files and Californication. X-Files is from 1993, so a 1996 domain registration is already due to his fame. Right decision. I hope he didn’t have to spend too much to arbitrate this. Curious if he was required to pay any costs for the historical registration fees, back in 1996 it was several hundred dollars to obtain the domain. Would be nice to see someone go after david.duchovny without having to pay the ICANN $150K extortion fee.